Rockfish have long been a staple on the west coast of the United States. This delicious, versatile food fish is also one of our favorites! Historically, mid-water and bottom trawl nets have been the most accepted way of catching these deep-dwelling fish – the nets are dragged behind a boat, and snare the fish as they aggregate in schools. Unfortunately, trawl nets are fairly non-discriminating when it comes to catching things. 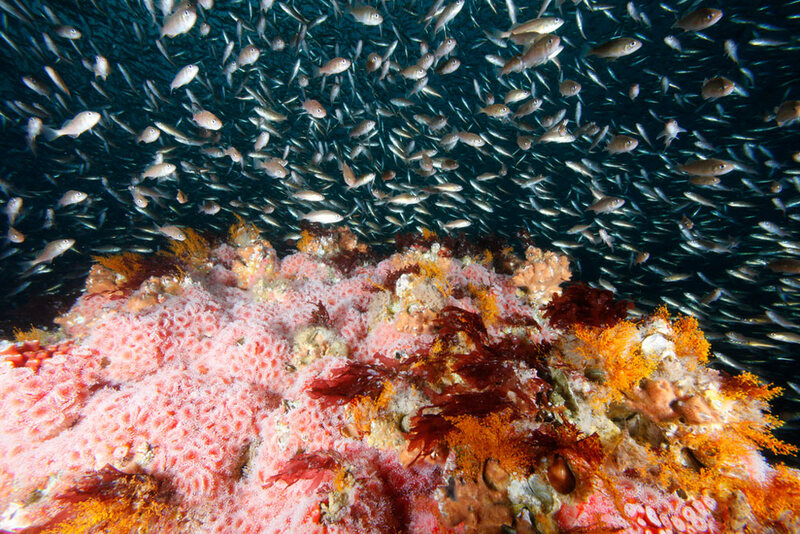 The deep-water habitats preferred by rockfish also support a lot of other sea-creatures; the bottom set lines of the trawl nets can damage these habitats when they make contact with the sea floor. While hook and line gear is more environmentally preferable, for some species trawl gear is the most economically feasible option. This is where our newest Responsible Sourcing Vendor Partner (RSVP) Program member, Fathom Consulting, comes in. They are aiming to help trawl fishermen strategize ways to minimize bycatch and damage to sensitive bottom habitat. Working with the trawler “Pioneer” out of Monterey, Fathom Consulting is conducting trials with heavily modified trawl gear that significantly improves on traditional trawl gear through the use of pelagic trawl doors, elevated sweeps, spaced discs and electronic sensors. In simpler terms, the new net design allows more non-target species and juveniles to escape, while reducing contact with the seafloor and seamounts. The new modified gear also has significantly less drag than traditional trawl nets, which translates into shorter fishing times and reduced fuel usage – ultimately leading to a fresher and more environmentally responsible product – and it’s got a smaller carbon footprint too! We hope that our support of these trials through the RSVP Program will lead to a supply of more responsibly harvested local seafood and influence a model of improvement in trawl fisheries worldwide.